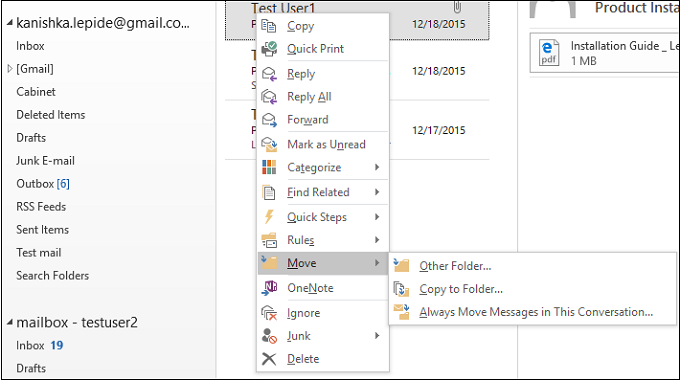 Later Outlook users may realize the unintended deletion and may want to recover those emails. In most cases, these deleted items can be recovered if they know about the deletion process in MS Outlook and the deleted item recovery tools available. What happens when you delete items? It is a regular practice to delete unnecessary emails from Outlook. One way to do this is to right-click the email and click Delete. 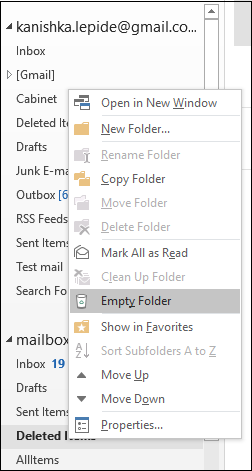 It will move the emails to the Deleted Items folder of Outlook. How to recover emails from Deleted Items folder? When an item is deleted, it moves to the Deleted Items folder (and it remains there until the user empties this folder). 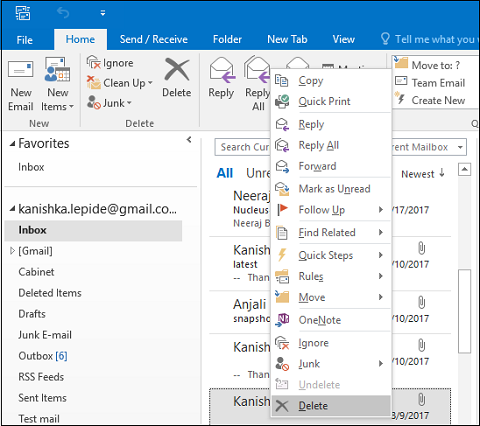 If a need arises, users can quickly recover the deleted email from the Deleted Items folder by moving it back to the original folder (the Move option is available on the right-click menu). What happens when emails are removed from the Deleted Items Folder? Permanent deletion of items happens when you use Shift + Delete command to delete the email items. When you click Empty Folder option from the right-click menu of the Deleted Items folder, then also the items get deleted permanently. The same thing happens when you Empty Deleted Items Folder for a mailbox cleanup. How to recover permanently deleted items? Outlook provides a simple way to recover permanently deleted items. For this, you need to click the Recover Deleted Items button on the ribbon (under the Folders tab). And during recovery, you can filter the mailboxes by Subject, Sent to, etc. So, only the filtered emails will be recovered in your mailbox. Kernel for Outlook PST Repair recovers permanently deleted PST items. It has a very simple GUI which enables users to perform the repair and recovery process quickly. And there is no file size-limitation for this tool - it can smoothly recover items like emails, attachments, contacts, etc. even from a large-sized file. Most importantly, the tool highlights deleted items in red color at the time of preview.